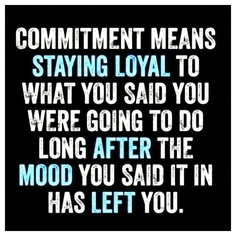 Committed – Or… Commit me. UFE Showdown in London Ontario June 21, 2014. I compete not because I think I am going to be a sponsored athlete, get sponsors or my picture in magazine. I compete because I can. I compete because getting on stage next to the fittest of the fit and feeling good after everything I have survived makes me feel strong and beautiful. I absolutely love my pictures. Not many women who have lived my life and have two kids can say that they look and feel there best at almost 35. I can. And as I have said before, its amazing motivation. My diet is generally good, but when I do not have a goal, I cheat more often then not. I work out like crazy all the time. It makes me feel good. I am happy, healthy and more stable then I have ever been in my life. I originally planned and posted about competing at Spring Bash. It is this weekend, and while I am disappointed that I did not pull it together in time to do it. I have no regrets. Life happens. I got a new job end of January and I was not used to 5 am workouts anymore, my kids were not used to me not being home all of the time, and priorities have to take prescedence. I could have done it, but I would not have been better than my last competition, and to me, I am my only competition. So, I decided not to. The first competition, I did not really have a structured plan. I felt great, up to and including the show, got amazing compliments from other competitors and then came 4th last. I would be lying if I said it was not a major let down. Granted it lasted about 30 minutes and I was over. I had done it! I then went out, ate a bunch of deserts and cheese cake. I had a few too many bevies and proceeded to binge for a week. Then I decided that if I did not pick a new goal I would be plus size again by summer. So I picked showdown in London last june. This time I watched my diet more, stretched wayyy more and added a mass amount of steady rate fasted cardio. I looked way better however after the show it took months for me to have any want or desire to barely make it to the gym. Add in alot of stressful personal crap and well…. meh. Life happens. I am roughly 12 weeks out. My diet will be mostly protein and veg. This is what I know works not just for my body but also fold in celiac and feeling good and its how I have results and feel good mentally. I do not crash on low carb, I feel good. First 3 weeks will be about 1400 calories. Only dairy will be 1 cup cottage cheese a day and only carbs will be wheat free oats. Re-evaluate at 9 weeks out. Took my measurements tonight. Will weigh myself in the morning. Not telling all the details but essentially I am 33-27-33 (can you say hour glass) I will track this every monday evening with a weigh in on Tuesday mornings. This is a bad one for me. I feel like a fool at the gym doing posing practice…. no idea why but I do. And there is nowhere at home to do this that is easy or I can see. The nice thing about again being used to 5 am workouts. I have the gym to myself. So 4-5 day a week posing practice. Tips, tricks and encouragement needed. I love when your focused and set on competition mode. It’s so motivating and inspiring to me to get to live your journey with you through your blog. Good luck I’m most definitely routing for you!